Dundee and crime is the mix I use to create stories about the dark side of life. There are no angels in my novels which illustrate the lives of drug users, pushers, gangsters, stalkers, and the people who live in their midst. The police characters are no different, they have their own demons to deal with. In a depiction of modern day Dundee, it is difficult to differentiate between the good guys and the bad guys. My best selling books so far are the three books in the Dundee Crime Series, but that's to be expected because they were the first ones published. These three books form a series because the police characters remain the same throughout, although the main characters are not the police, which makes them standalone novels as well as a series, and they can be read in any order. I am continually surprised how popular, DS Bill Murphy, who is a bit of a loser, has become with readers. 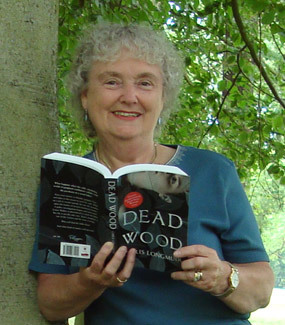 The first two books in the series won awards, both won the Scottish Association of Writers' (SAW) Pitlochry Award, and book two, Dead Wood, also won the prestigious Dundee International Book Prize. A couple of years ago I decided on a change of direction and published The Death Game, book one of the Kirsty Campbell Novels, a new historical mystery series with a touch of the gothic, featuring Dundee's first policewoman. Since then I have published a further two books in the series, Devil's Porridge, a murder mystery with elements of spying and sabotage set in 1917, and Death of a Doxy, which is a follow up to The Death Game. But crime fiction is not the only thing I write. A Salt Splashed Cradle is a historical saga, a gritty romance set in a north-east fishing village. I have also published two nonfiction books, Crime Fiction and the Indie Contribution, which looks at the rise of ebooks and independent publishers, and the Nuts & Bolts of Self-Publishing which is a hands-on, step-by-step guide to the world of publishing if you want to go it alone. 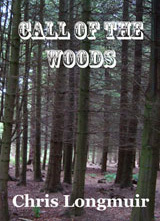 I do hope you will take time to have a look at my books. Chris is an award-winning novelist. She is best known for her Dundee Crime Series, featuring DS Bill Murphy. Night Watcher, the first book in the series, won the SAW (Scottish Association of Writers) Pitlochry Award, and the sequel, Dead Wood, won the Dundee International Book Prize, as well as the Pitlochry Award. Missing Believed Dead is the third book in the series. Since then Chris has published a new historical mystery series, The Kirsty Campbell Mysteries. This series is set during and after the First World War and features Kirsty Campbell, former suffragette, and Dundee's first policewoman. 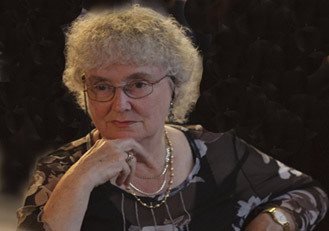 Her crime novels, often described as scary, atmospheric, page turners, are set in Scotland, mainly Dundee, although her historical mysteries are less scary but still full of suspense. Chris also writes historical sagas, short stories, and historical articles which have been published in America and Britain. She has also published two non-fiction books - Crime Fiction and the Indie Contribution, and the Nuts & Bolts of Self-Publishing. She is currently working on the first book of a new suffragette mystery series which will feature Kirsty Campbell during her earlier years. Chris lives in the seaside town of Montrose which is 30 miles north of Dundee. She is an Open University graduate with a post-graduate qualification in Social Work, plus a qualification in criminology. She retired early from a social work career in order to concentrate on her writing, but she has also worked in a variety of jobs including - shops, offices, factories, and was even a bus conductress for a time. Chris is a member of the Society of Authors, the Crime Writers Association (CWA), and the Alliance of Independent Authors (ALLi). She confesses to being a techno-geek who builds computers in her spare time. If you want to find out more about Chris, check out her biography. I recently attended a Nielsen Book Publisher Seminar which supplied lots of information about the publishing business and the use of ISBNs. Among a lot of other things, they covered electronic trading, the use of metadata, and digital marketing. All useful information which applies to the crowded business of publishing. Did you know there were 178,000 new titles published last year alone, and that 488 new books are published every day? The mind boggles. One thing that grabbed my attention at this seminar was the session on Book2Look widgets. I’d vaguely heard about these widgets but hadn’t paid much attention. However, as the presentation developed the potential became obvious although I wasn’t sure whether the outlay for the widgets would have any economic benefit for an author. You can find the web presentation on You Tube. If you pop over to my blog site you can read the rest of this post as well as access the links.